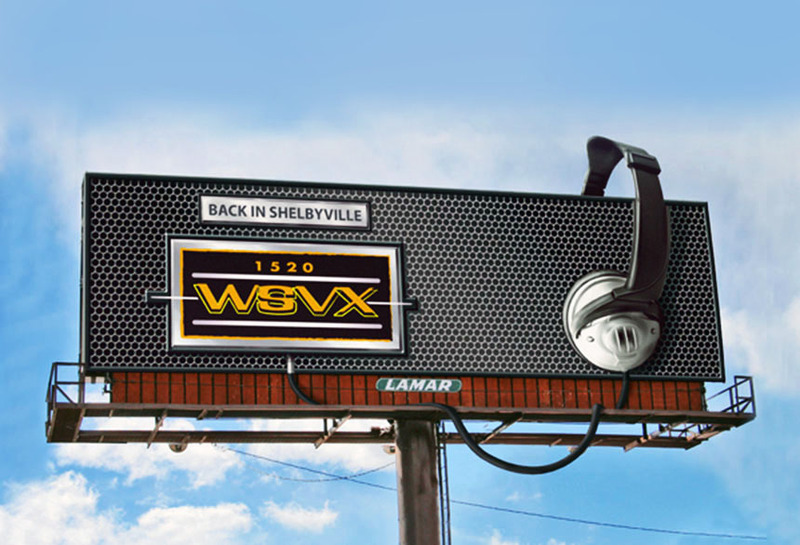 WSVX 1520 AM ran a brand marketing campaign using Lamar bulletin billboards. This creative included both 2D and 3D extensions to create the enormous headphones and wire. This attention-grabbing display galvanized passing consumers to tune into the radio station and see what they had to offer.